Some say it was originally made for rich/posh people as a transportable snack; others that it was for the poor made with leftover food and easy to take to work; the reality is that no one really know the origins of this dish. 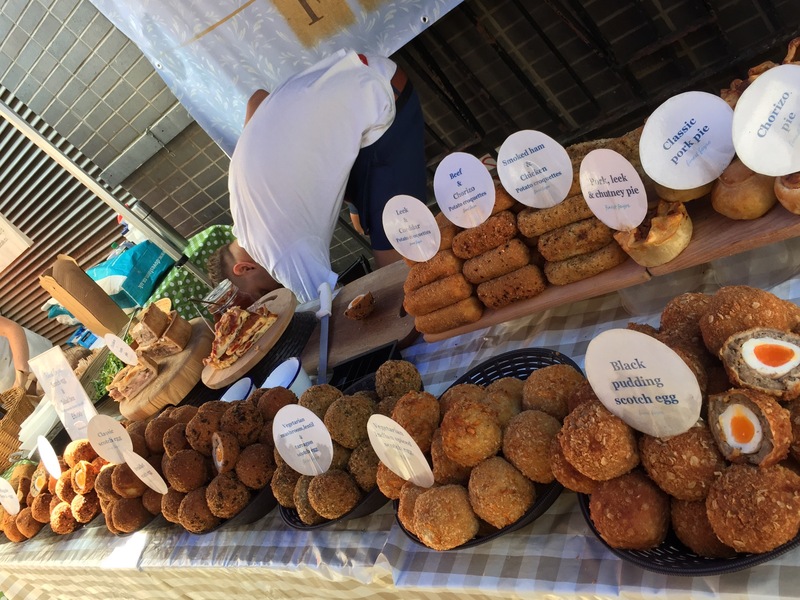 The perfect Scotch egg has a hard boiled egg (with a soft yolk -though nit runny) covered with sausage meat and coated with bread crumbs. Either baked or deep-fried. It seems a bit excessive though it is pretty tasty. And of course there are varieties, in the Manchester area they pickle the egg, the sausage meat is actually pork meat combined with black pudding! In any case, a famous second class dish for the English. To close this post, here is a random fact: The world record for a Scotch egg is 6.2kg using an Ostrich egg imported from Mexico. ¿Que tal saben? La verdad no se me antojan!